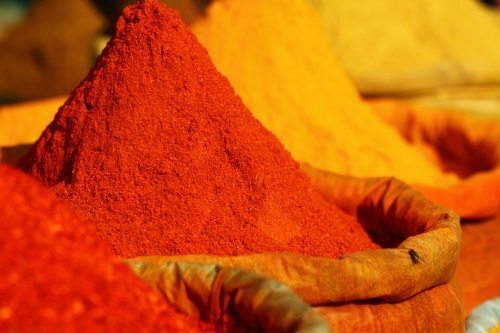 Structural changes in the global spice market mean that India, historically a bulk commodity supplier of spices, is now becoming a global hub for exporting processed powdered and value-added spice products, such as oleoresins, oils, extracts and seasonings, according to a Rabobank report entitled Decoding the Spices. “Some of the countries that previously imported whole spices have shifted to imports of ground and blended spices from India,” said analyst Shiva Mudgil. Indian players have been setting up the processing infrastructure to tap the growing demand. The country’s exports have grown by 20% in the last four years in value terms and Rabobank anticipates they will continue to show similar trends in the future. However, it says upstream sourcing challenges need to be addressed to fully tap this potential. The Indian spice market is fragmented, as spice production is largely a marginal farming business and small farm landholdings will remain important in the future. Rabobank says sourcing quality spices to meet this growing demand will be a critical challenge. The Indian spice industry has responded by increasing formalization and processors are becoming more involved in directly engaging with farmers. There is also a growing aspiration among India’s regional players to expand into new geographies and new product segments, which will lead to greater need to access capital and product technology. Some of the Indian processors are looking to other countries, such as China and Vietnam, to secure supplies for meeting demand. Global players such as McCormick have also entered the Indian spice industry by partnering with local players to meet global demand. According to Rabobank, India’s production of spices is estimated to be 5.9 million tons in 2012/13. The country imported 0.1 million tons of spices, with most of it meant for re-export. Approximately 11.5% of the total are exported, which amounted to 0.7 million tons. The key exports markets include the United Arab Emirates, the US, the EU and Malaysia, as chili, turmeric and cumin are to export products.